Despite the fact that our studio mainly accomplishes interior design projects in Costa Del Sol in Spain (in particular in the city of Marbella), at the moment we are also having several projects in Moscow. 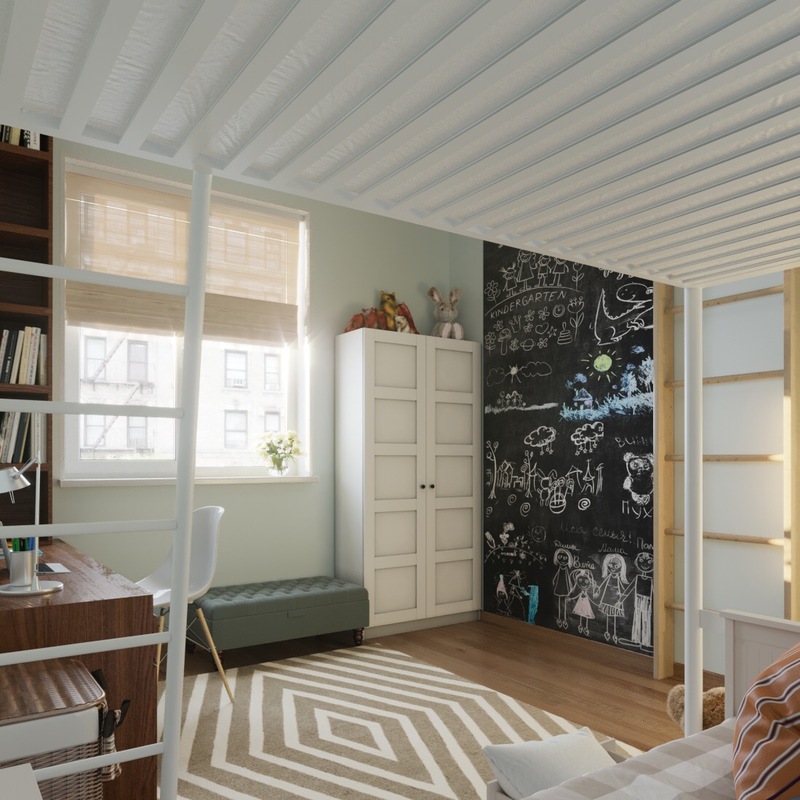 In today’s article, we would like to share a part of the design project of a three-bedroom apartment on Michurinsky Avenue, particularly the visualizations of the kid’s room. 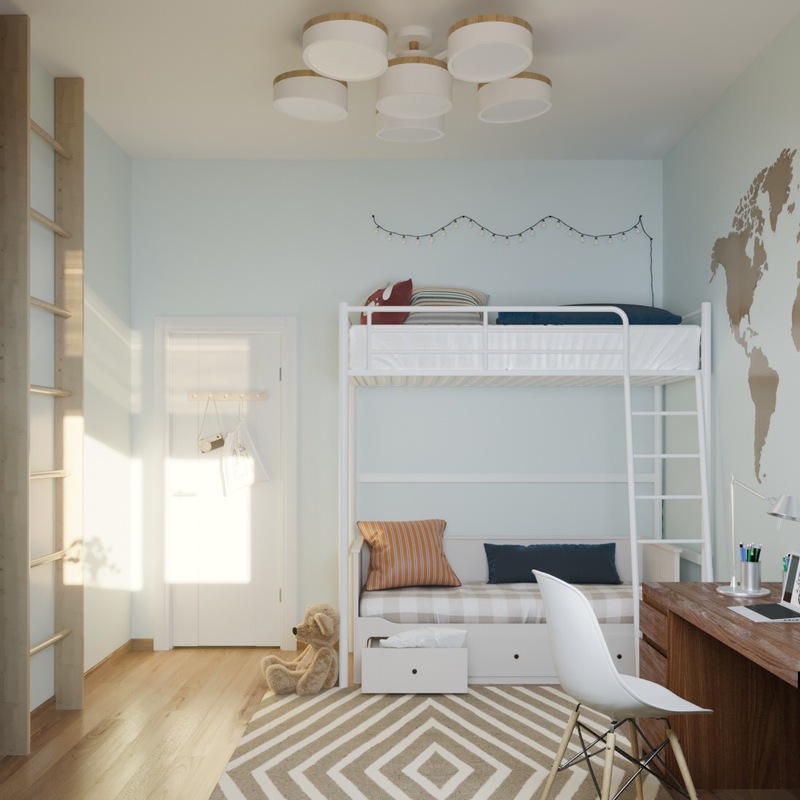 This room is designed for a boy of 8 years old and has everything necessary for the harmonious development of the child – a workplace, a loft bed, a sofa, a Swedish wall, a chalkboard wall and a place for games. The color palette consists of calm, neutral colors – blue, blue, beige and white.